Needham taxi and limo services Needham, Dedham, Newton, Westwood, Canton and the greater Boston area. We offer convenient, reliable and luxurious transportation in the MetroWest area. 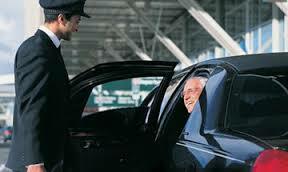 Needham Taxi And Limo boasts a modern fleet of sedans, SUVs guaranteed safe, clean and on time. If you need to arrange transportation services, please call (617) 939-7499, we are available 24 hours a day, seven days a week. Our goal is not only to make money from your patronage, but to give you the most for your money, and that starts from the moment you pick up the phone to inquire about our services or to book with us, until the time we pick you up and get you back to your loved ones safe and sound, and that is our currency. Whether it is for a special occasion or just to give you a relaxed, stress-free ride to the place you need to be, you can count on us for reliable and affordable ground transportation. Learn more about us and the services we offer. Our vehicles are equipped with the latest GPS technology. We guarantee 10 to 15 minutes response time for most pick-up locations. For Sedans, make your cancellation 3hours before the original time of reservation, with a 10 $ processing fee. For SUVs, make your cancellation 12 hours before the original time of reservation, with a 20 $ processing fee. Please follow up with a phone call within 30 minutes, only if you do not get an email back confirming your cancellation.